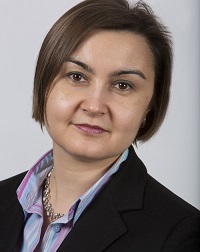 Yelena Ageyeva-Furman is a senior principal at the management consultancy A. T. Kearney. Here she reviews a study commissioned by Amadeus, the originator of the global distribution system (GDS) and still the largest provider of airline IT. In a world of significant global, macro-economic and political changes, many businesses are seeking greater clarity on how to plan for the future. Investigating and understanding the drivers that are likely to have the most impact is key to future corporate success in such an environment, and travel industry is no exception. ‘What if? Imagining the future of the travel Industry’, a recently published report written by A. T. Kearney, seeks to identify key disruptors likely to affect businesses across the travel sector over the next five to seven years. The study, commissioned by Amadeus, incorporates some of the most informed perspectives in the industry to formulate a series of ‘what if’ scenarios that evaluate variables from global political and economic trends to technological advancement and regulation, and how they could interact with one another. Rapid and continual innovation in technology, for example, is expanding the possibilities and opportunities of the travel market. Exciting and competitive technological advances are sure to revolutionise the perception and experience of travel, increasing efficiency and value for consumers and businesses worldwide. On the flip side of this, geo-political issues, such as Brexit and the emergence of populism in the Western world may damage the fluidity and frequency of international travel. Personalisation versus the mass market experience. Using data aggregation and advances in artificial intelligence to more accurately understand traveller behaviours, expectations and preferences. This may allow the creation of a level of personalisation to the travel experience that addresses the need of the individual better than a uniform alternative. But the question remains whether the travellers would be willing to pay for such tailored propositions. Seamlessness versus fragmentation. Combining international, governmental cooperation with increased data sharing on a business to business level could pave the way for a seamless travel experience. Is it a plausible reality or will the world continue to stay fragmented? The Picasso scenario: In a world governed by increasing security concerns and an emerging populist agenda, more and more travel destinations are harder to access. In spite of this, investment in innovation remains high, driving growth across large parts of the world economy. More customers are reached through mobile channels, stimulating more effective personalisation of the travel experience. Destination services become a key differentiator for travel players, and localised propositions thrive, paving the way for new players to enter the industry. The Dali scenario: The sharing of data is more widespread due to a favourable shift in social attitudes and a rise in economic prosperity. The markets become increasingly deregulated with more relaxed privacy laws. This permits the accumulation of more accurate data, creating a possibility of a personalised travel experience. In this scenario, there are fewer security fears coupled with more open borders. Travel is increasingly efficient, more accessible financially, and safer for all. This is the world in which traditional players are under threat from the technology giants, who benefit from the direct access to consumers and consumer data. The Bosch scenario: This scenario is based on a world governed by protectionism and distrust. Concerns over safety and data security dominate the agenda. As a result, industry costs rise due to compliance with a labyrinth of laws regarding tax, labour and data protection. Travellers have strong brand loyalty, often booking directly for comfort and peace of mind. Duty of care becomes a key concern for the travel providers in the business travel space. The Warhol scenario: Strong Asian economic growth leads to the emergence of a large Asian middle class, with more disposable income to use on travel. These travellers prefer low-cost travel designed for the mass market even in a world without barriers. Traditional industry players remain relevant by providing packaged travel, and low-cost carriers thrive. We live in an accelerating and ever-changing world. Our report and its concluding scenarios, briefly outlined above, seek to ignite an awareness of the potentially diverse challenges ahead for all those connected to the travel ecosystem, allowing companies to take appropriate actions as related to their own corporate strategies and objectives. The travel sector winners will be those companies that take the time to understand the trends shaping the industry, to defend against damaging influences, but also to maximise potentially enriching future opportunities. It's always tricky to silo trends like this, there are always overlaps and other influences. However it looks like Europe will be heading down the Bosch road with the new data protection regime due next year! As to Asia, from my experience the new generation of mobile savvy travellers are already embracing personalised travel in massive numbers. Package holidays are dying in Europe and won't last long in Asia, if they ever really got off the ground there.